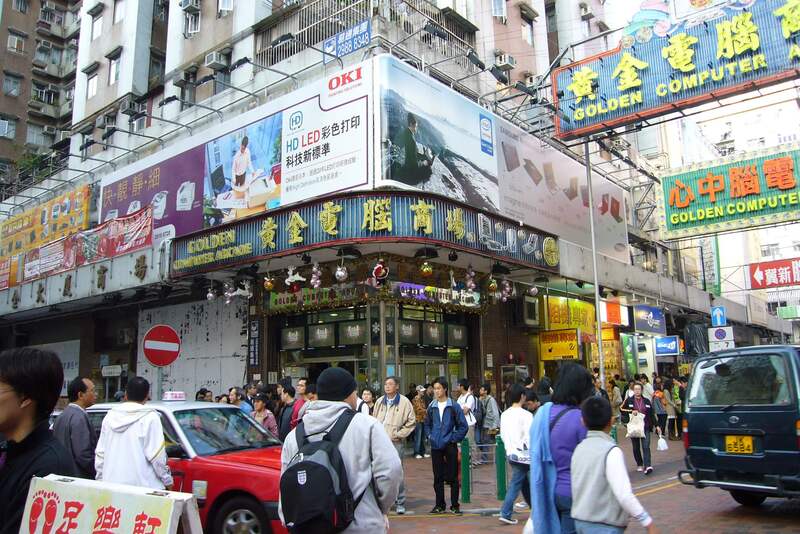 Sham Shui Po is a hot spot to indulge in mouthwatering street food, select edgy electronic goods or even purchase some of the more practical goodies. 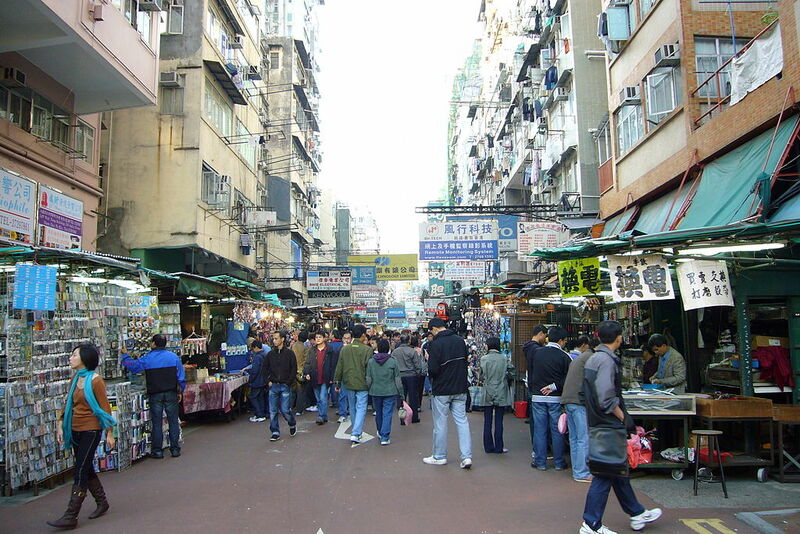 The area has long been struck by urban decline – it is encompassed by old Chinese buildings and people venturing past packed like sardines. A bolt of anxiety might shoot through you upon your first arrival, but if you follow our guidance below, you will be able to wander in this treasure island with ease. 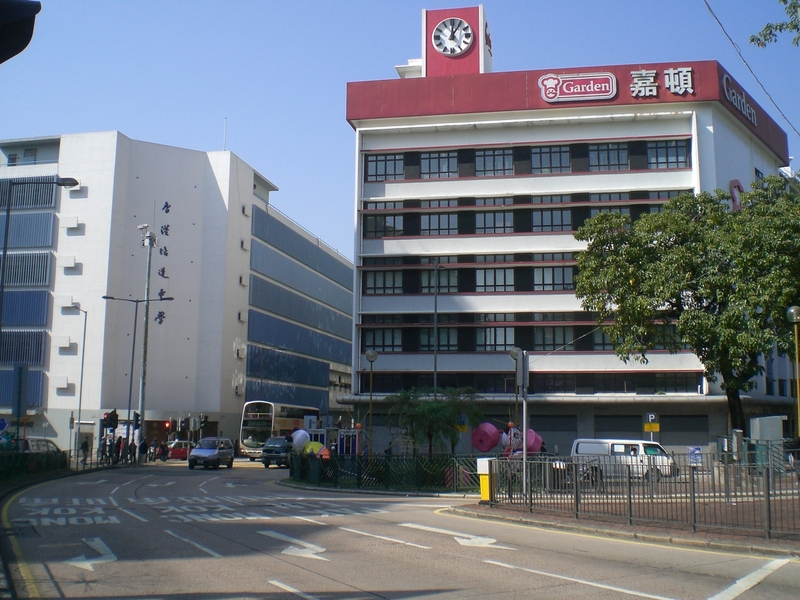 Golden has become a pronoun for the computer center in Hong Kong. Pragmatists and IT geeks alike look for PCs, complete systems, video games, software engineering books and even the service of fast data recovery here all at a discounted price. Golden also features stores selling cryptic computer tools. The arcade consists of two floors, with the top floor focusing on games or gaming consoles, while the lower floor focuses heavily on computer hardware. Make sure to avoid visiting during weekends since it is often overcrowded with people inside its narrow hallways. Opening hours: 10:30 a.m.-10:30 p.m. The nine-story building is the second-largest shopping center in West Kowloon. It is a melting pot of authentic, retro and modish treasures to cast your eye upon. You can find a variety of beauty and health stores, sports stores, electrical stores, department stores, eateries, furniture stores as well as musical instrument stores. Do not miss the Japanese- and Korean-style Apple Mall located on the 5th and 6th floors; all the exquisite Japanese- and Korean-style boutiques selling adorable clothing, cosmetics, laptop and phone accessories and jewelry gather around here. The higher the elevator whisks you up, the more surprises you will find – an ice skating rink and a vast food court on the 8th floor and a 90s-style games arcade on the top floor. Plus, how often can you find a roller coaster (malfunctioned) inside an ordinary-looking mall? Not one in a million! Opening hours: 10 a.m.-10:00 p.m. Whether you are a cutting-edge designer, outlandish fashion lover or a DIY maniac searching for components such as beads, button, rhinestones, earring hooks, embellishments, semi-precious stones, pearls, feathers or fabrics that come in different shapes and colors to create your masterpiece, fancy boutiques lining up on Yu Chau Street have a lot to offer! You can also check out tools like glue guns, sorting containers or sewing machines, which are handy for your DIY projects. 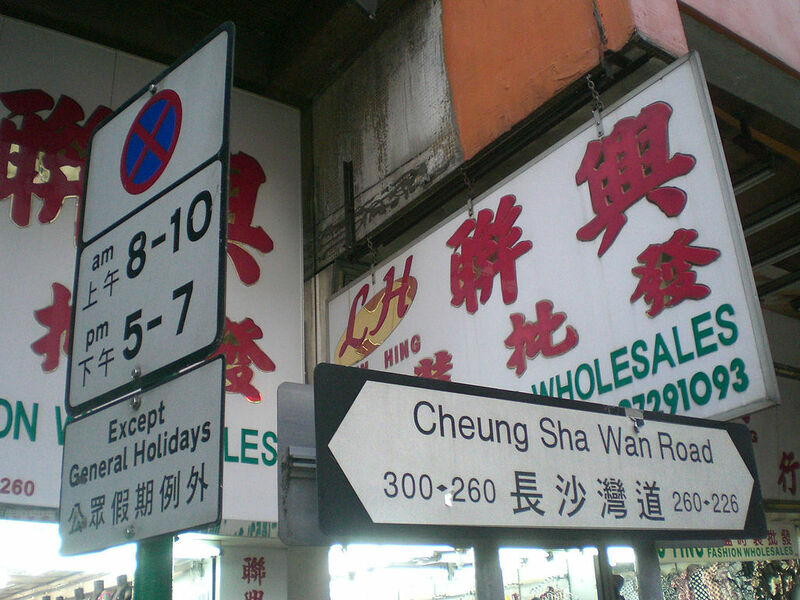 Indeed, those stores are a bit pricier than the typical retailers in Sham Shui Po, but the quality is a firm guarantee! If you want to get your hands involved in leatherwork while mapping treasures, Alri Star Leather Factory provides on-the-spot tutorials! 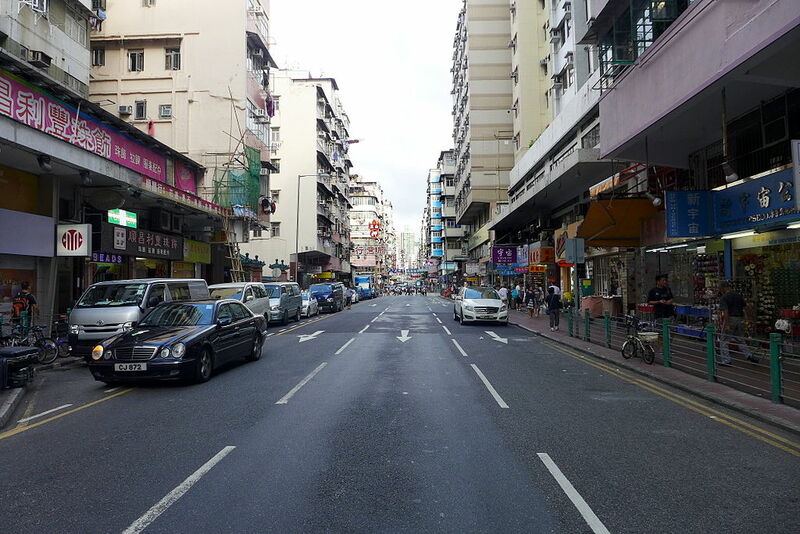 Opening hours: 10:30 a.m.-7:30 p.m.
Fuk Wing Street is also known as Toy Street since its stores primarily sell kid toys. Strolling down the street, you will be overwhelmed by the mind-blowing selection of toys, wholesale stationery, gift items, souvenirs and in-house decorations that are on offer. This is absolutely a must-go spot to shop for festival-themed decorations at a relatively low price. Agonizing over what to prepare for a birthday party? Brainstorm some ideas on Fuk Wing Street! The bustling spot contains numerous stalls offering phone and camera accessories, leather goods, audio visual stuff as well as fishing tools. Don’t rush to buy the goods you are drawn to – you can always bargain with the owners to get a cheaper offer, though be aware of counterfeit and lower quality merchandise. If you are not satisfied yet, why not wander through the flea markets? There are lots of secondhand electronic components (albeit some are not so legit), jade, jewelry, Chinese instruments and so on. Even if you despise used goods, it won’t kill you to take a glance. At first glance, the building looks inaccessible, but its lobby and café on the ground floor are, in fact, open to the public. Take a look at the window display of the products the company has sold in the past 90 years, and then visit the inside of the spacious café where you can pamper yourself with a slice of creamy fruit sponge cake, rich-in-coffee-flavor Tiramisu cake, golden and crispy coconut tart, sausage muffin, brioche, raisin scone or walnut wheat bread while appreciating the hustle and bustle outside. A combo meal with a drink (hot cocoa, milk tea or coffee) is sure to satisfy and only costs HKD 25! Every bakery product, except cakes, are sold with a daily limit, so be sure to get there early to avoid disappointment. 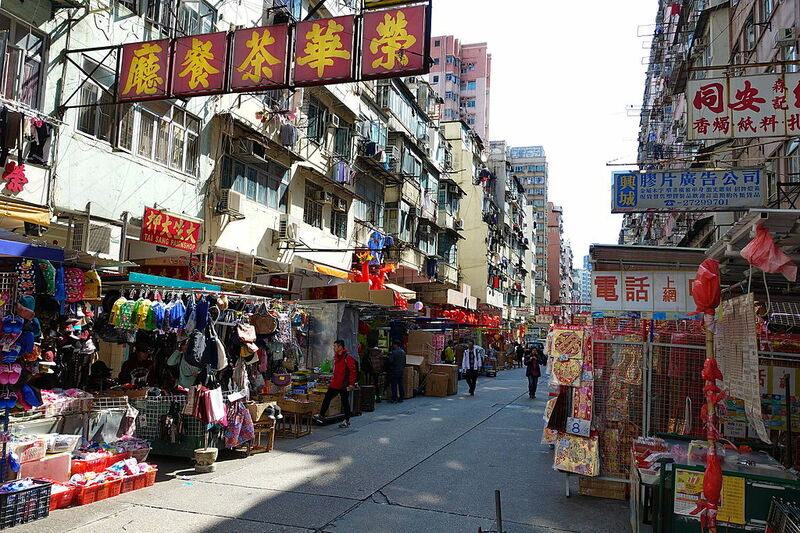 The clothes market around Cheung Sha Wan Road is a fashion lover’s treasure trove. The place is packed with over 250 fashion stalls. Bargain hunters gather here to shop for their favorite women’s clothing, menswear, children’s clothes and accessories – the good and bad are intermingled, so keep both eyes peeled when shopping. Prices are beyond affordable, so it is worth putting in the effort to beat the bushes and show your ultimate trump card – haggling! Sitting on a plastic chair, head bowed over burning hot dishes in the Dai Pai Dong (alfresco food stall), is the most down-to-earth experience you could have in Hong Kong. There is no air conditioner inside, and if sweat isn’t running down your back, you are not blending in at all. 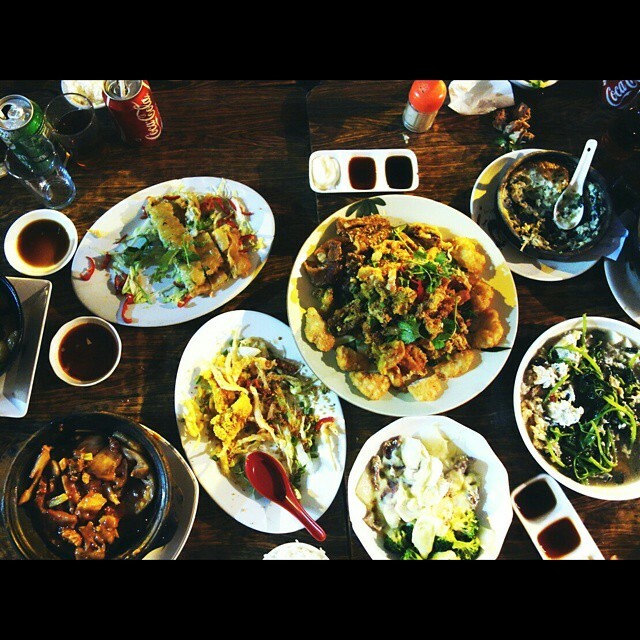 In Keung Kee, there is one capturing quality called wok hay (the breathing of wok) in its dishes. You can taste the wok hay when the wok is heated to the highest temperature and when the freshest ingredients are used. If you are a seafood or chicken fanatic, the je-je chicken list pot (HKD 88) is a must-try signature dish thanks to its flavorful, tender chicken and the tempting sizzling sound transmitted by the clay pot. The homemade cuttlefish cake (HKD 55), golden and crispy on the outside and tangy inside, could also very well win over your tastebuds. Don’t forget to try the freshly fried oyster as well! Opening hours: 6:00 p.m.-4:00 a.m. This Taiwanese-style dessert house is famous for different kinds of fruity or dairy-flavored shaved ice and glutinous rice desserts. If the hot weather is too unbearable, drop by and indulge in a bowl of mango shaved ice to help you cool down. 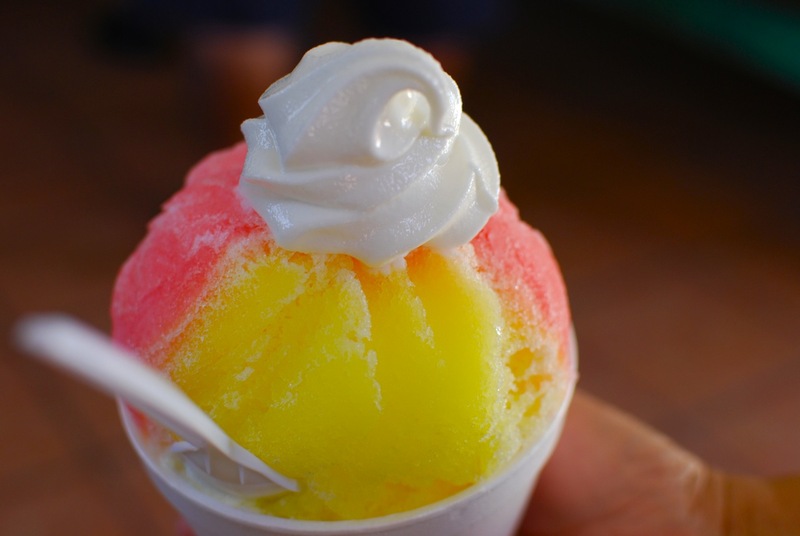 The mango pieces are delightfully juicy, and the mango-flavored shaved ice is melt-in-your-mouth cool. Even if you are not a fan of mango, you can try out other dishes such as Rainbow and Cookies, which is full of generous fillings – watermelon, dragon fruit, lychee, glutinous rice balls all served with a scoop of cookies and cream ice cream – or the creamy banana and chocolate shaved ice. Opening hours: 2:15 p.m.-1:00 a.m. 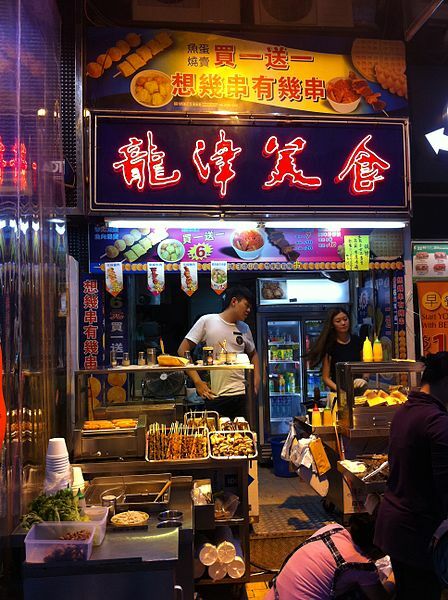 The tantalizing smell of the street food on Fuk Wa Street lingers in your nose. Locals come for the popular to-go dessert put zhai gou (bowl pudding): the gelatinous-textured pudding stuffed with red beans radiates the unique smell of brown sugar, (it tastes marvelous when served warm), crispy and soft egg waffle, rice noodle rolls with sweet and peanut sauces, marshmallowy lung so tong (strands of sugar wrapped around chopped peanuts), grilled squid tentacles or curry fish balls. Newcomers might find ngau zap (braised cow offal) and zaa dai cheung (fried pork intestine) creepy, but if they are well prepared, the awful flavor of the internal organs should be replaced with only the springy texture and the delicious marinated sauce. Remember, only a Hong Kong street food lover will learn to appreciate snacks made of internal organs! You can also find humble eateries catering to soybean desserts, Sichuan noodles, Shanghainese cuisine, Vietnamese delicacies or fancy Western diners here, if you want to fill your stomach to the fullest.